I love making quiches, but the crust is sometimes more work than I want to put in. 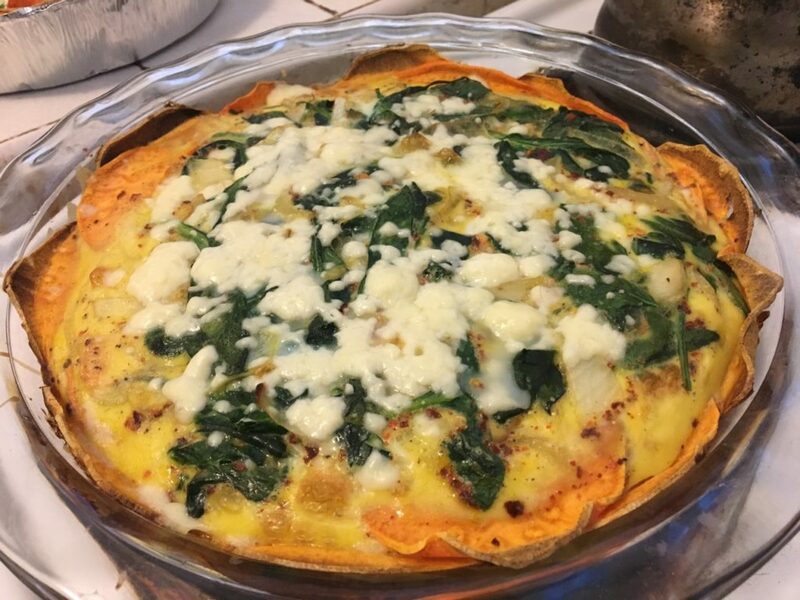 This quiche uses the simplest crust I’ve ever encountered: thin slices of sweet potato! I honestly didn’t think this would work. But the two quiches I made came out really well and were a hit at the brunch I brought it to, and at work the next day. Next time I’m going to be more generous with the feta, or try a different quiche filling. Maybe mushroom? Coat a 9-inch pie plate with thin layer of oil. 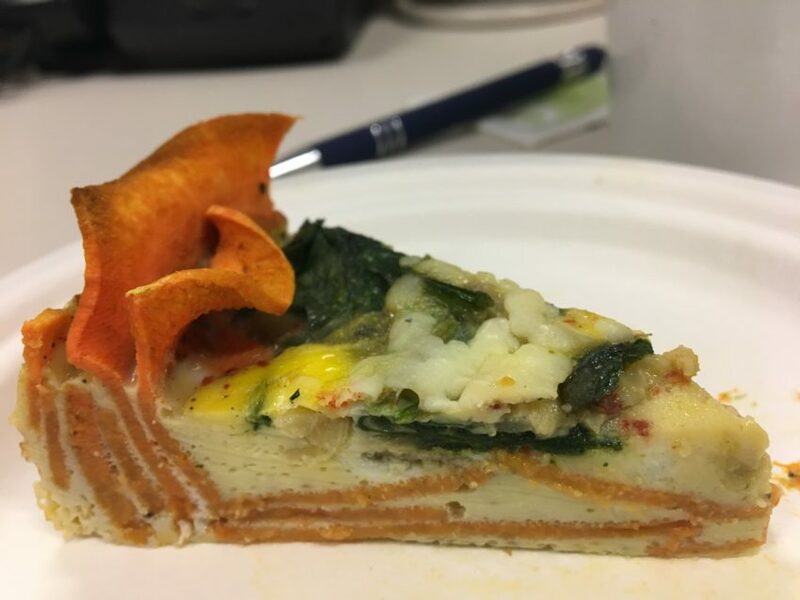 Layer sweet potatoes in slightly overlapping concentric circles on bottom and upsides of plate, cutting slices in half to fit (rounded side up) around the sides. Brush olive oil onto potatoes. Bake in preheated oven for 20 minutes or until potatoes are slightly tender. Add more sweet potato slices around the edges, since the other potatoes will have shrunk and collapsed a bit. Increase oven temperature to 375°F. Combine milk and next 5 ingredients (through egg whites) in a medium bowl; stir with a whisk. Arrange spinach mixture in crust; pour egg mixture over spinach. Sprinkle with feta. Bake at 375°F for 35 minutes or until egg mixture is set. Let stand 5 minutes; cut into wedges.